This delicate boho necklace is made using Origami paper. 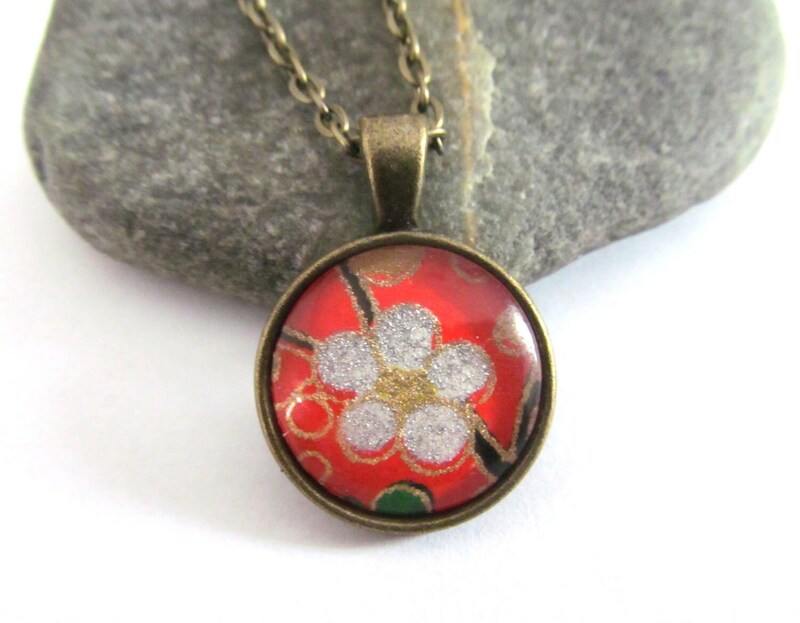 The print is of a glittery white flower on a red background. The paper is accented with silver and gold glitter. The paper is protected with a layer of resin and clear domed glass. It is contained in a bronze setting measuring 20mm in diameter. The included necklace is 24" in length but can be shortened at your request. A great gift idea for your paper anniversary!